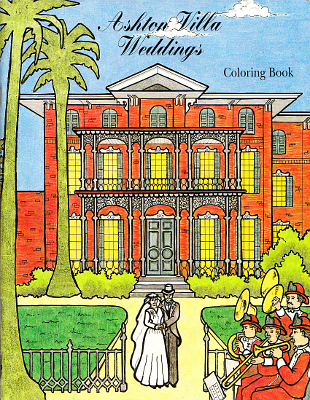 Description: 44 page coloring book. The pictures are of scenes and people from two weddings that took place at the home of Mr. James Moreau Brown (known as Ashton Villa) in 1884 and 1916 in Galveston, Texas. The clothing and architectural details are taken from newspaper articles which featured detailed descriptions and illustrated by Jane Young. Viewed: 1,894 times since January 4, 2013.